−808 The given name is already being used by the following timed structure. So, you're using the same name for another loop somewhere in your code. 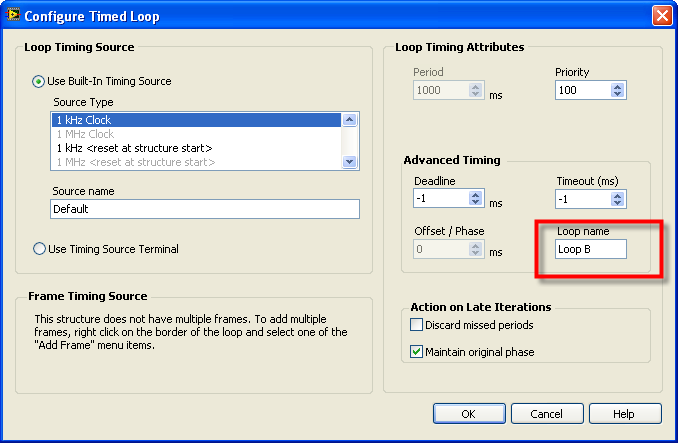 How can I access the loop's name and change it? or you can do it on the block diagram by adding an input to the Input Node. Again, this is all in the documentation.